shadeslanding March 11, 2019	No Comments Boone's Fine GunsBoone's Fine Guns Isle MNBrahm MNCarry Course MinnesotaCarry permit class Minnesota Florida ArizonaCarry Permit Class MN FL AZcarry permit Minnesotaconcealed carryConcealed Carry classconcealed carry classes mn fl azconcealed carry permit classConcealed Carry Permit CourseHenriette MNIsle MNJason ShadeMinnesota carry classMinnesota Carry PermitMinnesota Carry Permit ClassMora MNMultistate carry classMultistate Carry Permit Class MN FL AZMultistate Permit to Carry Classnorth branch. 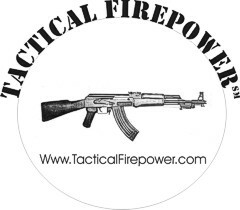 grasston mnPine City MNTactical Firepower Inc. Previous Previous post: Urgent – Gun Rights hearing at the State Capital Wednesday! Apple Valley American Legion Post 1776 Apple Valley Minnesota Apple Valley MN Boone's Fine Guns Isle MN Brahm MN Burnsville Minnesota Burnsville MN Cambridge MN Carry Course Minnesota Carry permit class Carry permit class Minnesota Florida Arizona Carry Permit Class MN FL AZ carry permit Minnesota concealed carry Concealed Carry class concealed carry classes mn fl az concealed carry Godfathers Pizza Burnsville MN concealed carry permit class Concealed Carry Permit Course Concealed Carry Permit Course American Legion Post 1776 Apple Valley Minnesota Florida and Arizona Shade's Landing Inc. Eagan MN Farmington MN Grasston MN Henriette MN Hinckley MN Horse and Hunt Club Prior Lake MN Inver Grove Hts. MN Isle Minnesota Lakeville Lakeville MN Minnesota carry class Minnesota Carry Permit Minnesota Carry Permit Class Minnesota permit to carry class course Burnsville Minnesota Multistate MN FL AZ Shades Landing Inc. Mora MN Multistate carry class Multistate Carry Permit Class MN FL AZ Multistate Permit to Carry Class north branch. grasston mn Pine City MN Prior Lake MN Savage MN Shade's Landing Inc. Shakopee Tactical Firepower Inc.